This post is all about college care packages. One of my best memories of college is when I would receive an email saying I had a package waiting for me in the mailroom. My mom has always sent amazing college care packages and I always tell her how receiving those packages can brighten my whole week. She loads them up with things that I wouldn't usually buy for myself but really want and it truly is the best. Whether your a parent, aunt, grandparent, friend, boyfriend, or whatever relation you are to the college student, they will be so grateful for a little package in the mail! This post shows you 68 college care packages ideas that any college student would love. 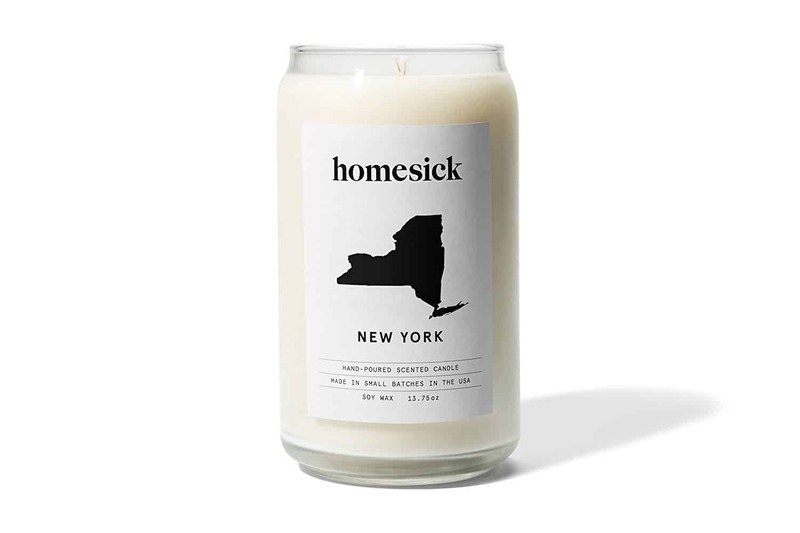 ​​These candles by the brand Homesick are all the rage and offer the known "smell" from all 50 states. You can find your state here. Of course, candles aren't allowed in dorms so make sure to also get a candle warmer if you decide to get this college care package idea. ​There is nothing better than receiving some of your favorite treats from home as a college student. Whether the college student is thousands of miles away from home or only an hour, treats from your home or hometown can make that homesickness a little better. State posters have become very popular and are an easy way to add a little decor into a dorm room. 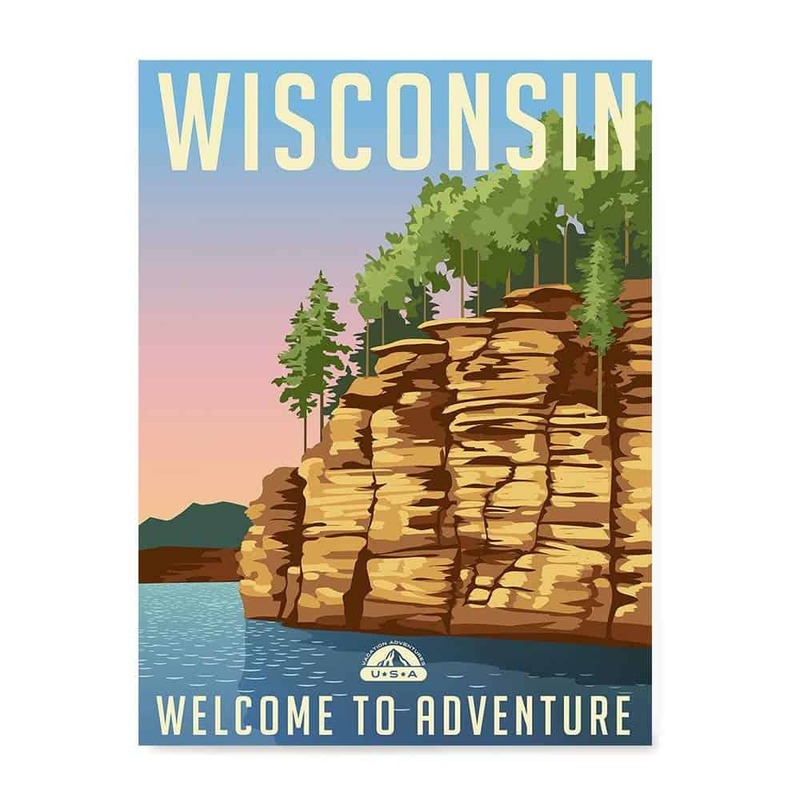 These retro state posters are available for every state. Gift cards have always been and will always be the most wanted gift from a college student. With the amount of products Amazon offers, it is the perfect gift card for a college student. They can get everything from game day apparel to food (and everything in between). You simply cannot go wrong with an Amazon gift card. 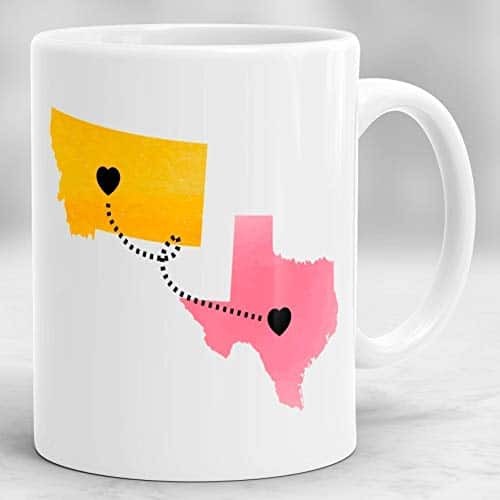 This mug can be customized to have the state where the college student is from connected to the state where the student is in school. Coffee/tea is a big thing with college students and this mug is a sweet reminder every morning that someone from home loves them. It also can be customized on the back with some nice words or quote. Can you ever have enough headphones? For the college student, the answer is no. Headphones always go missing and having a backup pair is never a bad idea. Bluetooth headphones are a game changer (especially if you workout a lot) and a decent pair can be found on Amazon for less than $20. There's nothing quite as motivational about getting new workout clothes to wear to the gym. Let's be real though, workout clothes are a staple in college no matter if you're going to the gym or not. A new workout top or leggings is guaunteed to be a hit with college students. If it's in your budget, Lululemon is by far the most popular workout brand for college students. If you are looking for something cheaper, check out these super cute workout clothes. Help release some stress and give the college student a gift card to get a massage. This gift is guaranteed to be highly appreciated and will be talked about for the whole year. 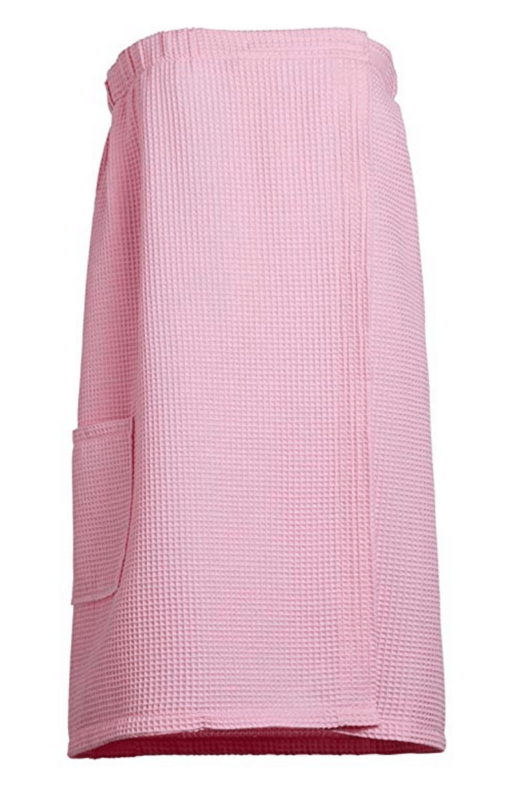 Lugging your gym clothes across campus can be a pain but a cute gym bag will make that much easier. 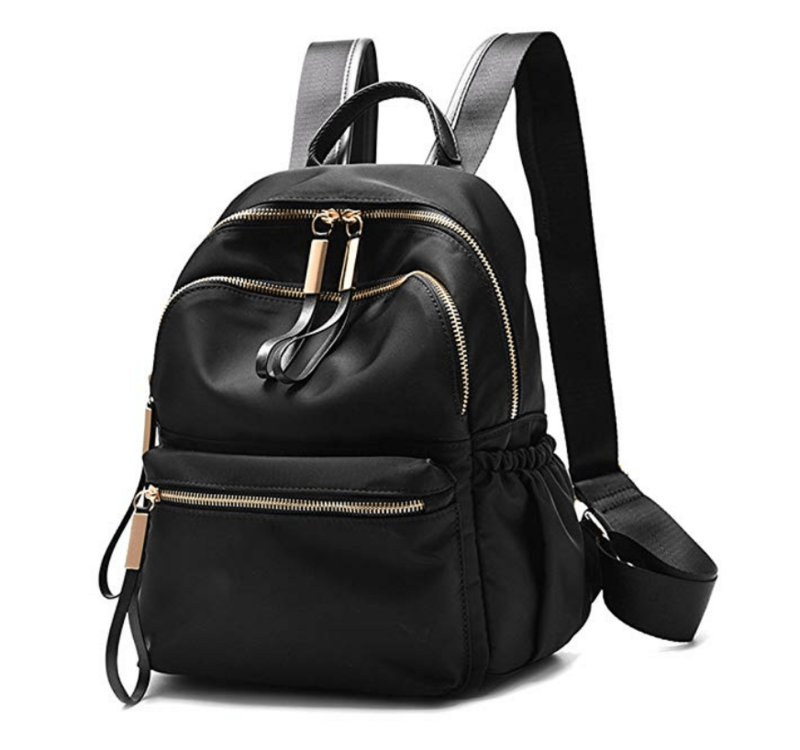 This cute waterproof backpack is perfect for storing all your gym supplies and sweaty clothes after the gym. It's also less than $25.00. 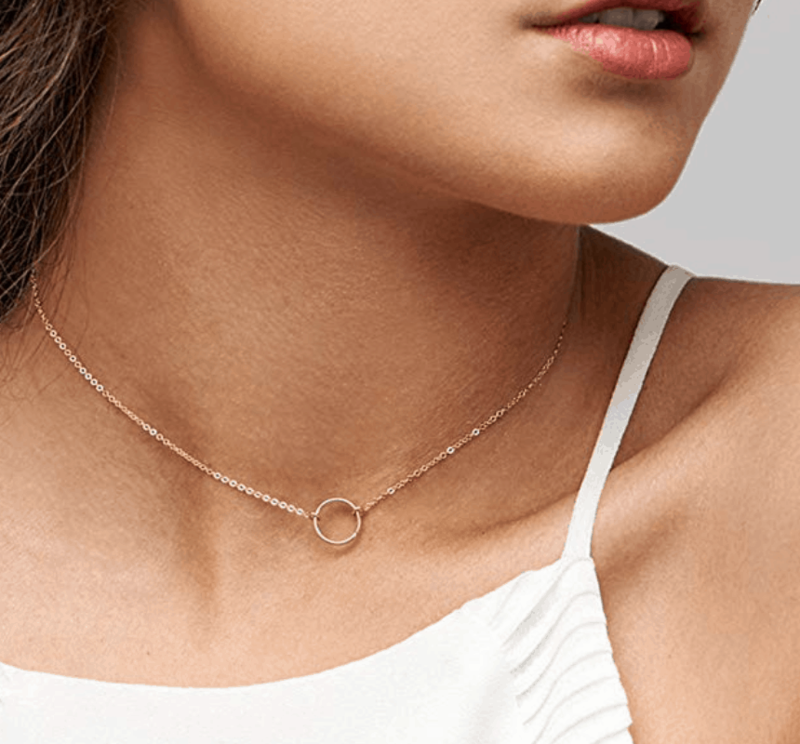 These necklaces are extremely popular on college campuses. 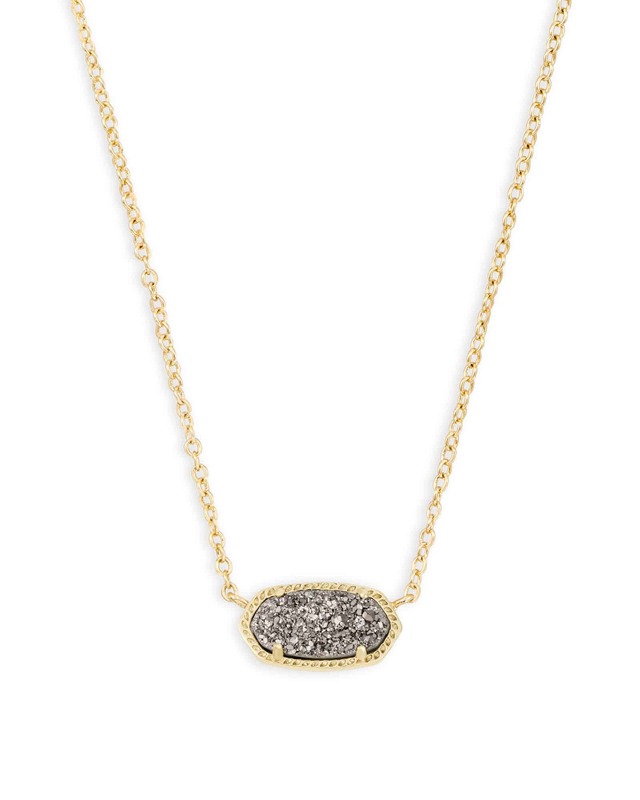 It comes in many different colors and is the perfect gift for any stylish girl. This necklace will become the students daily choice. Everyone needs a phone case and it is a cute way to update your daily life. Students are loving these cases and these marble cases. 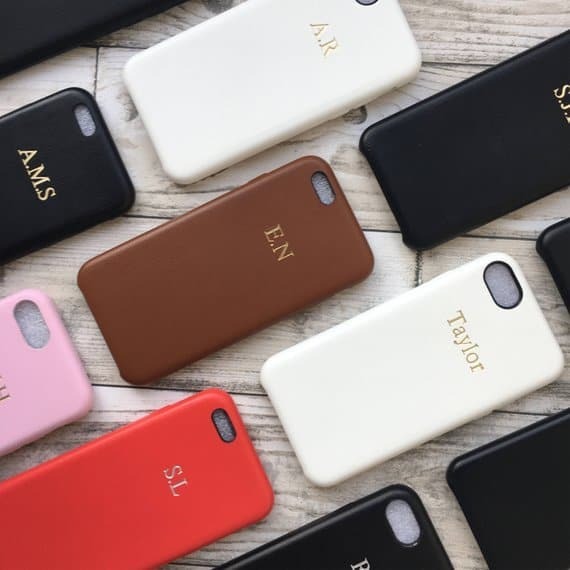 These monogramed cases are also very popular. These are the BEST hair ties in the world and leave no kinks in your hair. 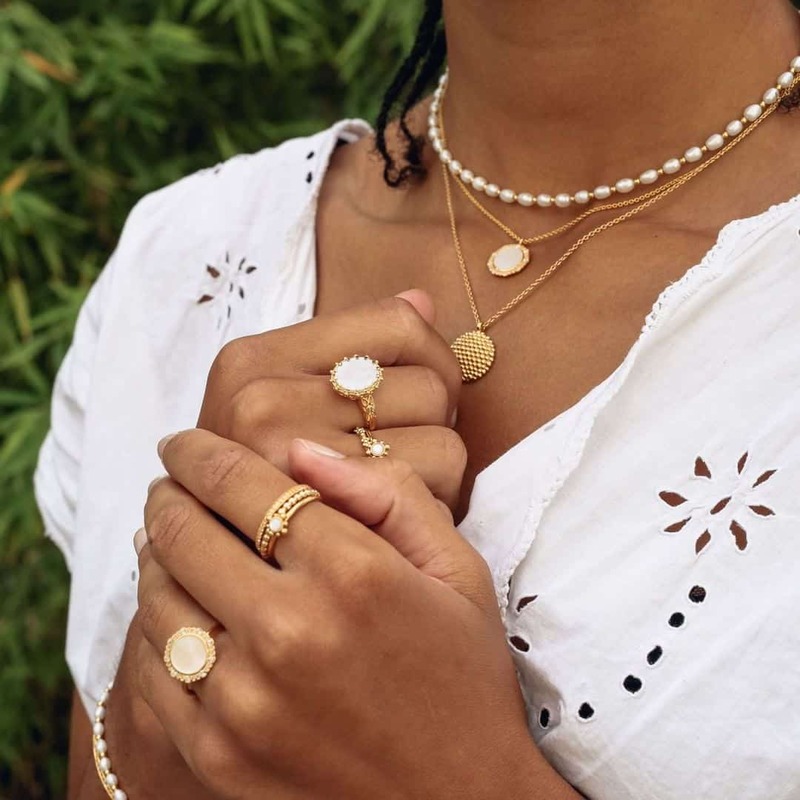 It is extremely popular to wear rings and this dupe is a must for anyone that loves a little bling. My sister and I both purchased this ring and wear it daily. 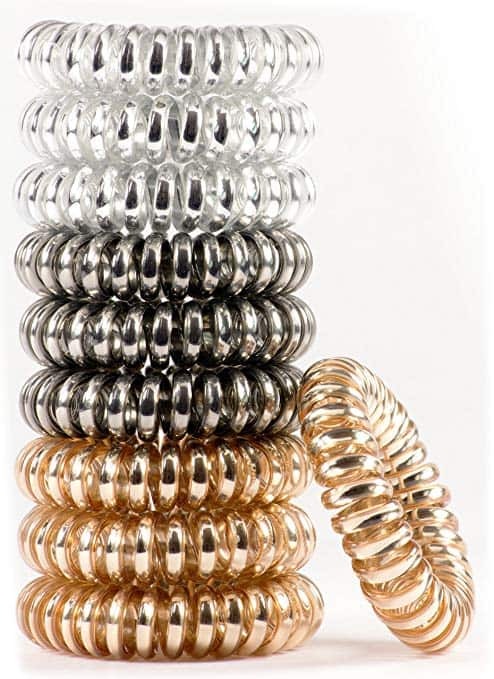 Amazon also offers a variety of ring sets that are very inexpensive. Covering up undone/greasy hair is a must for college students which makes hats very popular. 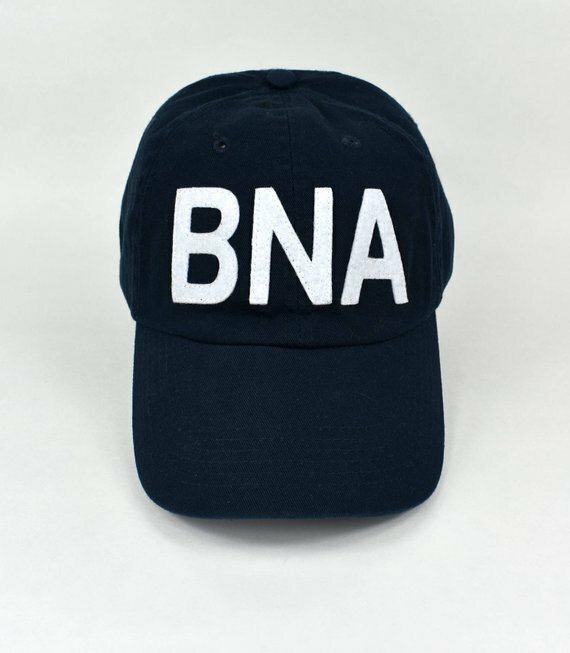 These hats are made with your hometown airport code and will be a go-to for years. They also offer hats that can be customized with your area code. 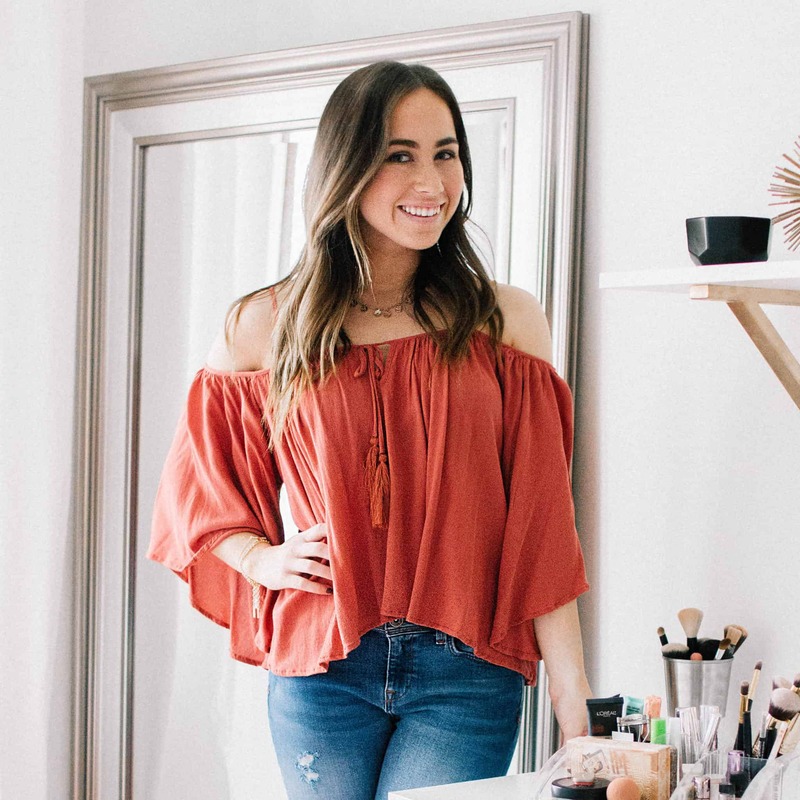 These are all the rage for game days and make the cutest outfit. 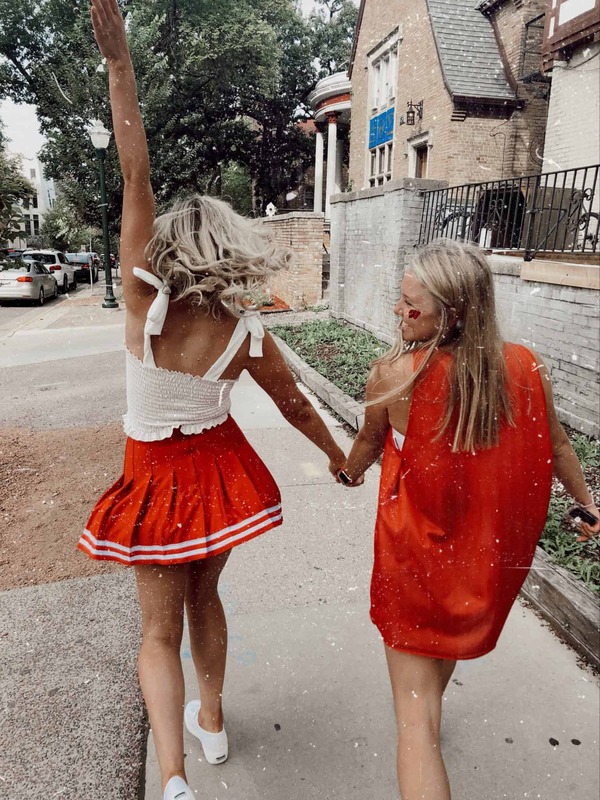 These cheerleader skirts can be found in all colors and are available on Amazon. 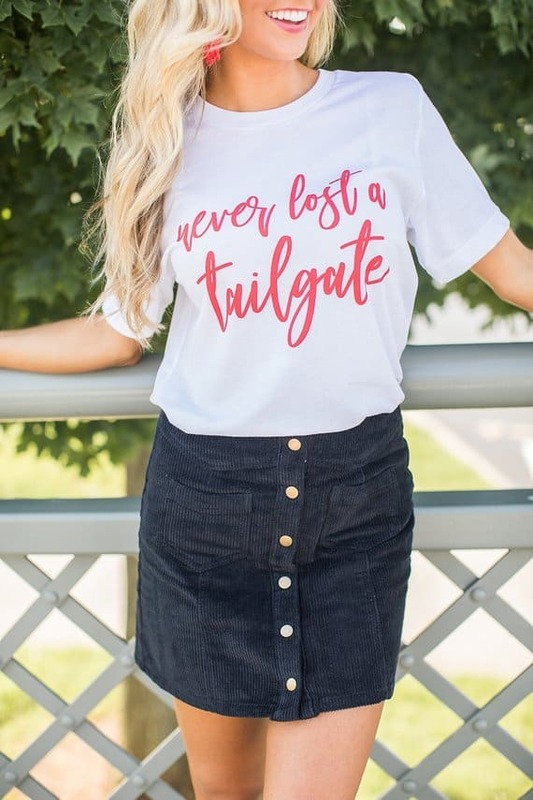 Etsy has the cutest game day shirts that are perfect for college students. The shirt above can be purchased here. 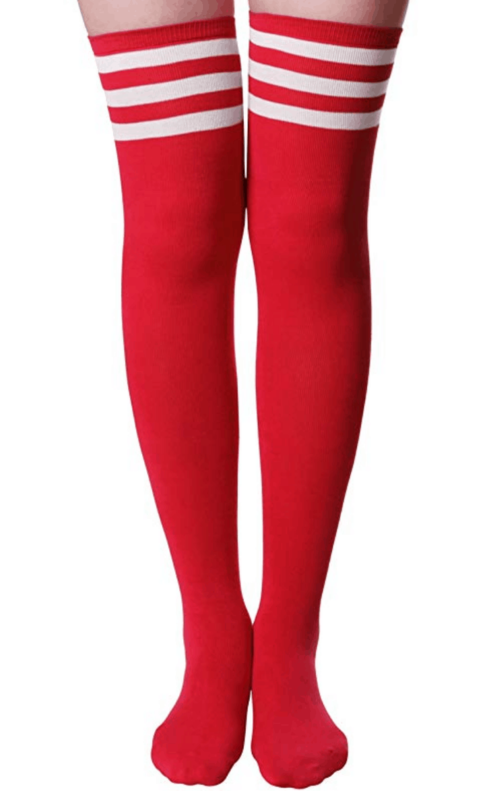 These socks are another popular game day go-to to wear with skirts. These socks are very inexpensive and will be worn over and over again. Winter quickly arrives and before we know it, it's time for a winter hat. From walking to classes to tailgating, a hat will be put to use. 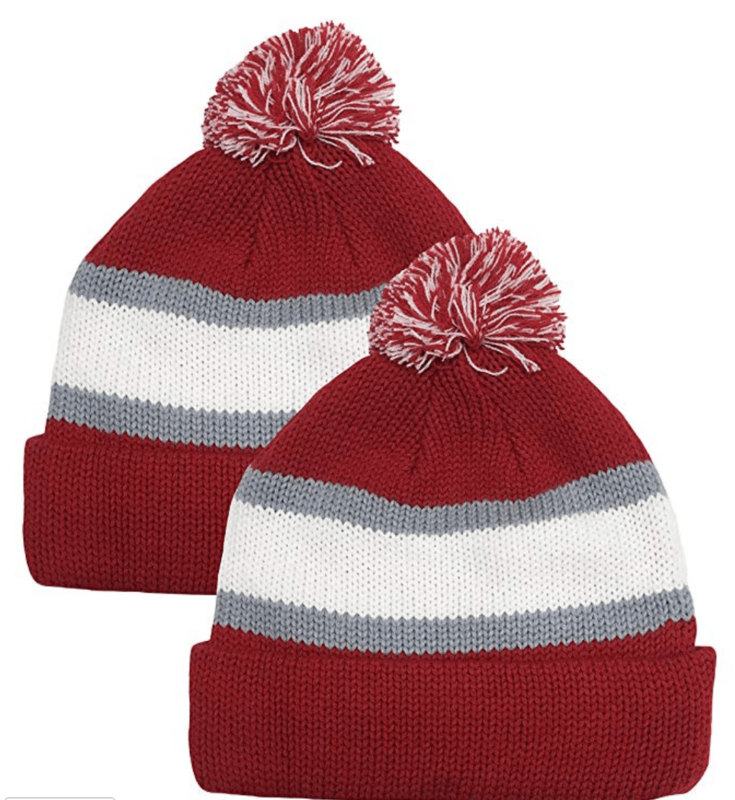 This hat is offered in many different school colors. It is so fun decorating your laptop with different stickers and receiving a sticker with your college logo would be a great gift. RedBubble is a website that offers inexpensive stickers and you can search and find almost any college. Twinkle lights are the perfect little decor piece to add into a box because they are not too expensive and can easily be taped on a wall. 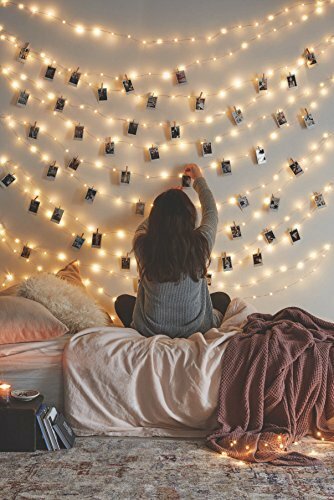 You can find these twinkle lights for $15.99. 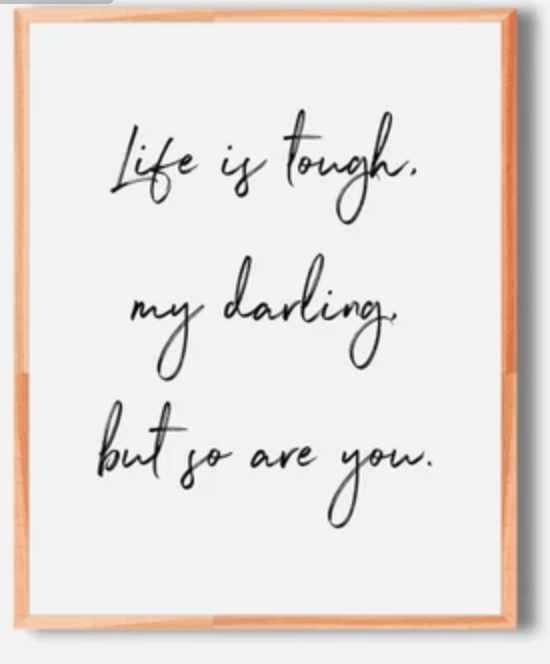 This Etsy store has the cutest quotes that can be printed out and put in a frame. These frames are very motivational which is perfect to be placed in a college dorm or apartment. 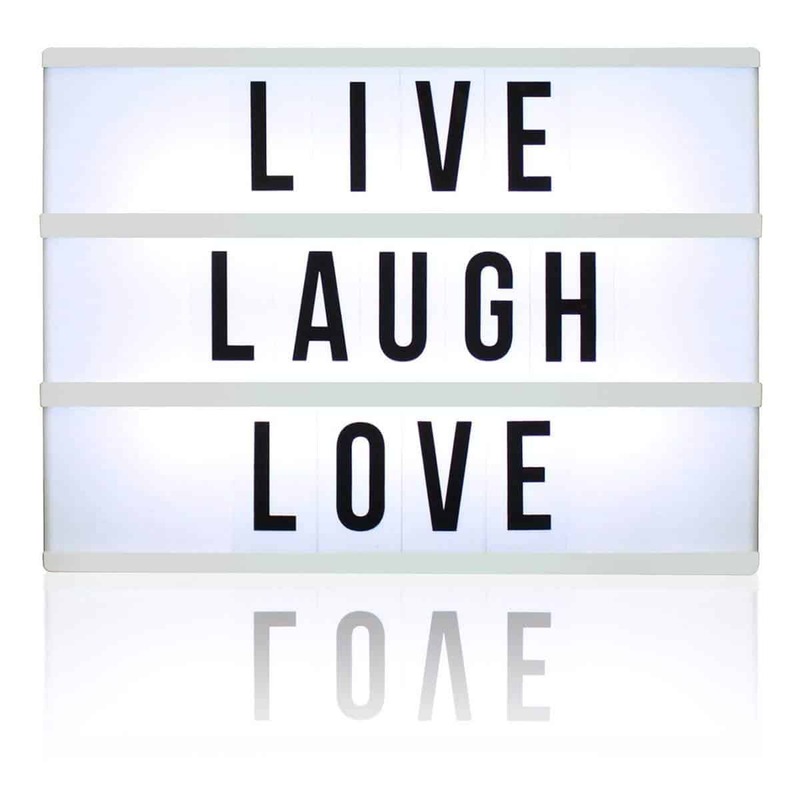 Light boards are very popular and so fun because you are able to change the words put on the board from season to season or how you are feeling. Dorm rooms can smell really bad and it's hard to get the smell out since you are not allowed to have candles. 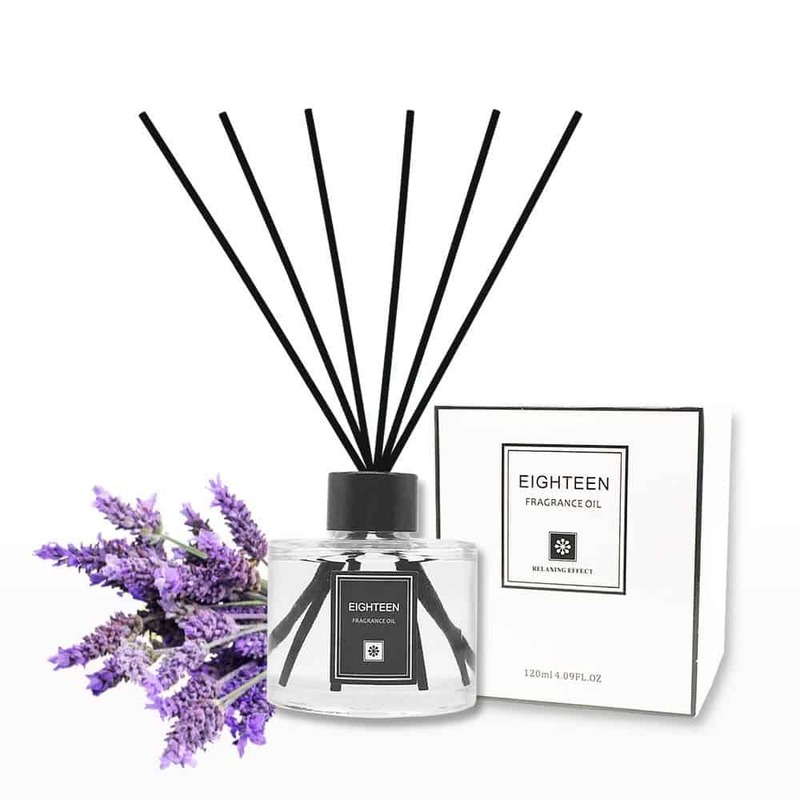 These scent diffusers are allowed to be in dorms and will make the dorm room smell fresh. A college laptop goes through a lot and it's not uncommon for them to accidentally get dropped (been there, done that :/). If the student you're considering sending a college care package too doesn't have a laptop case, than this a must. 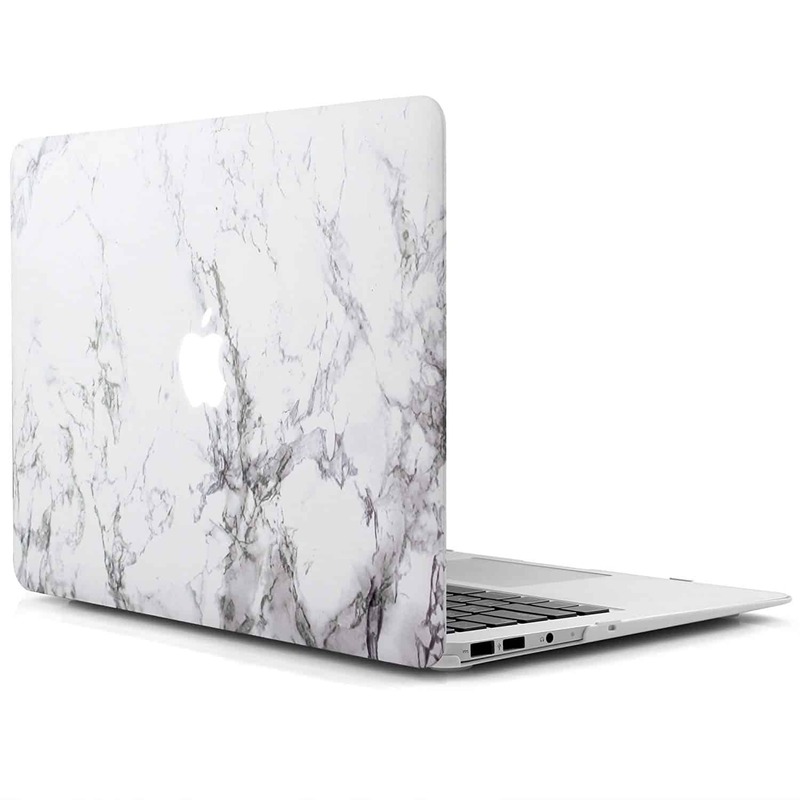 You can purchase this marble case here. I talked about this above also because it is such a good gift for college students! "Can you ever have enough headphones? For the college student, the answer is no. Headphones always go missing and having a backup pair is never a bad idea. Bluetooth headphones are a game changer (especially if you workout a lot) and a decent pair can be found on Amazon for less than $20." Coming from a college student-- you can NEVER have enough chargers!! 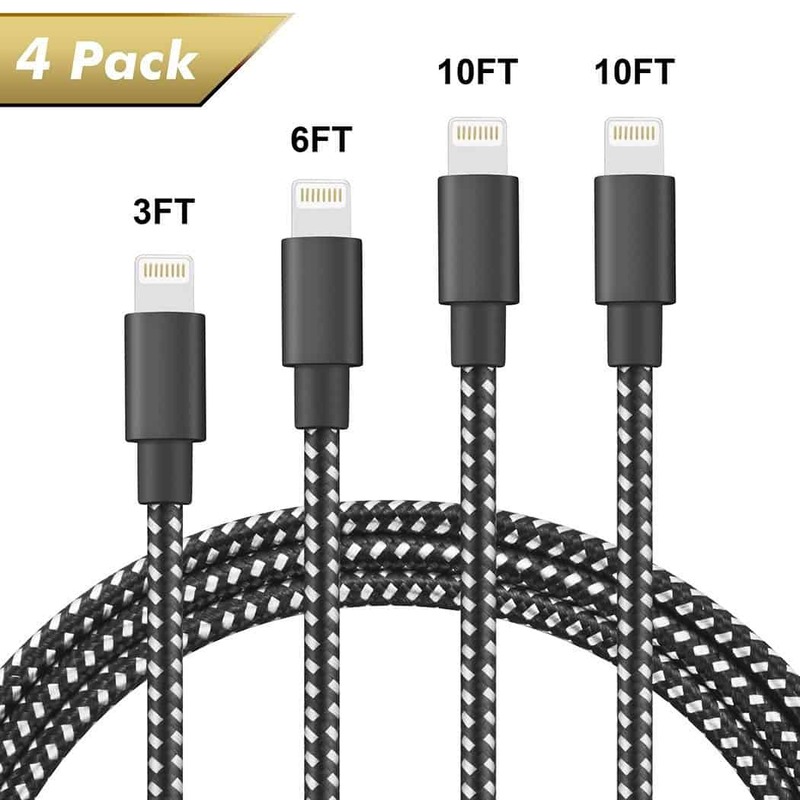 I ask for these 10ft chargers for every holiday. They are truly the best and I would be so excited to receive these! This is such a cool clock and would be a fun little dorm decor. 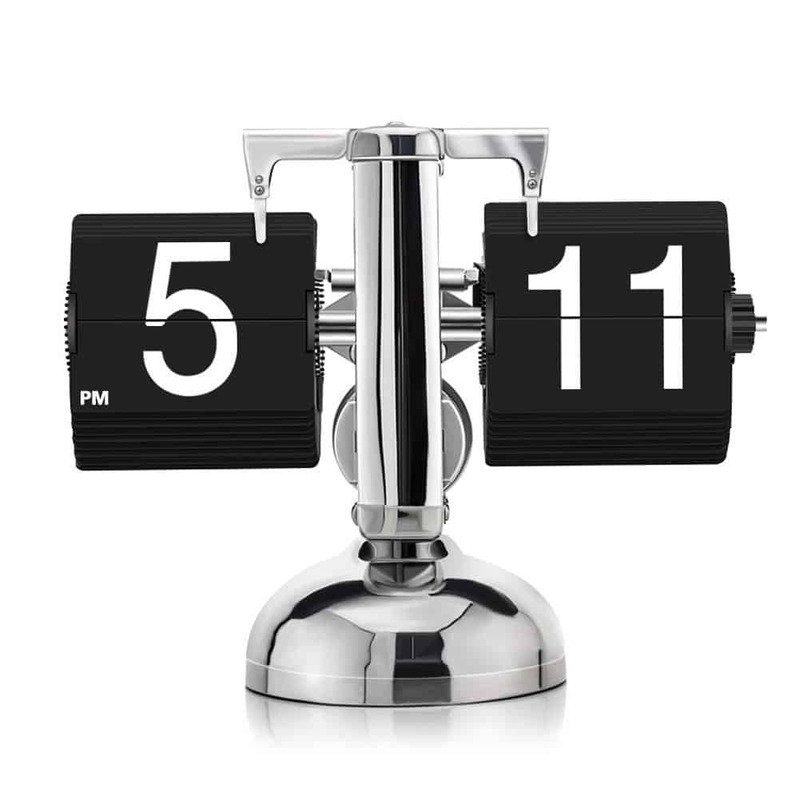 The clock flips the time by itself and is so different than a regular alarm clock. You can find this clock here. Can a college student be too prepared for alcohol? I think the answer to that is no. This the perfect gift for the party girl. 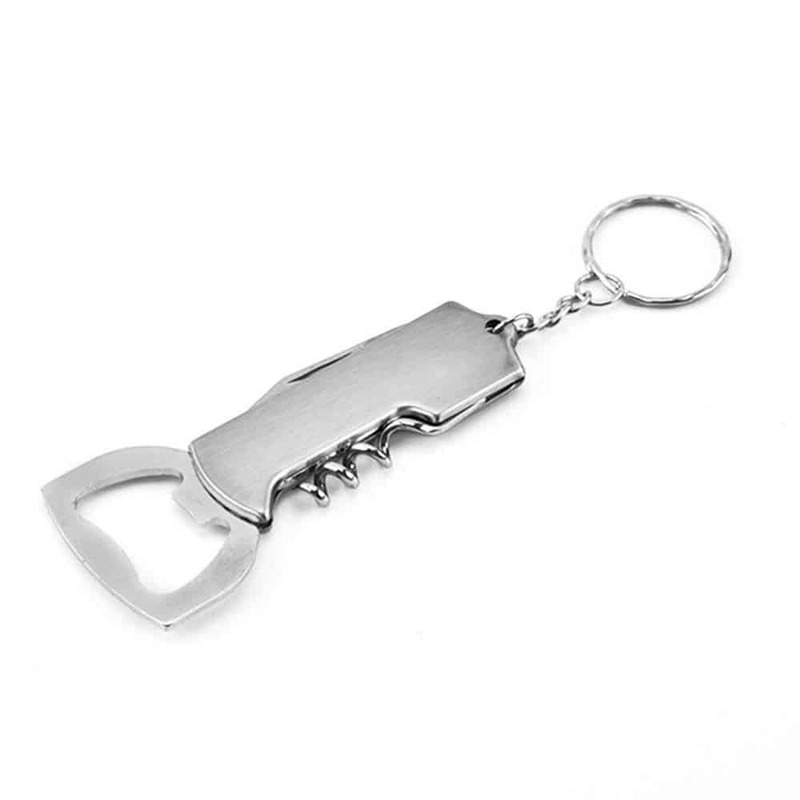 What college student doesn't want a keychain that can open beer or a wine bottle? You can purchase this bottle opener here. You never know what will get on your clothes at a party so having a designated "party purse" is a must! The college student your sending a care package too will love this. 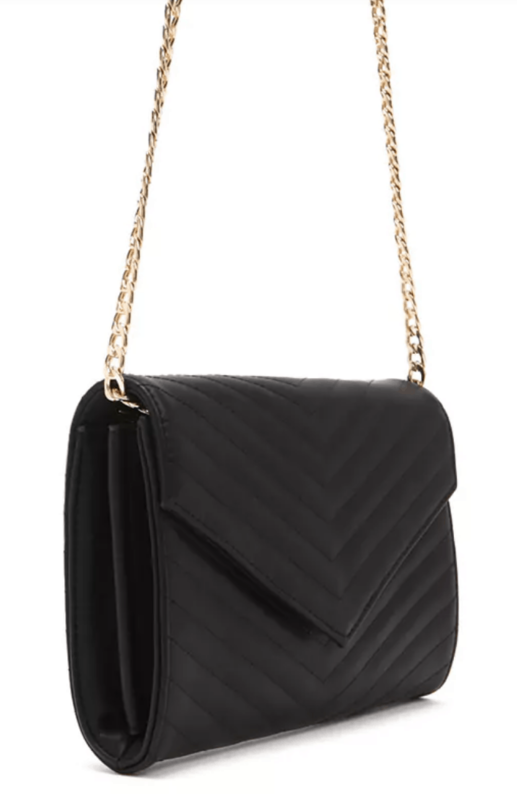 This purse is available for $19.99. 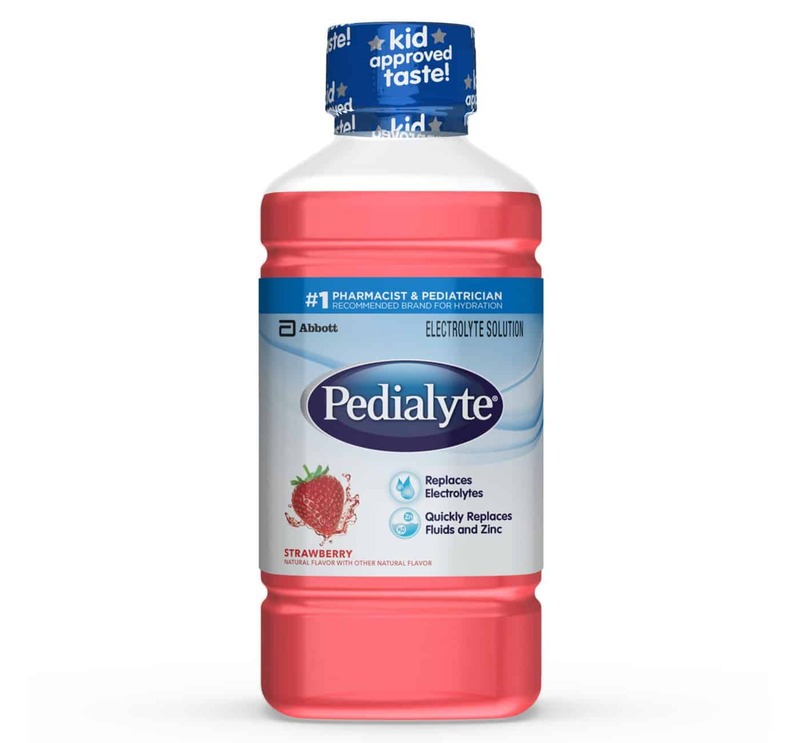 This is the latest go to hangover cure and any college student would be grateful to receive this. 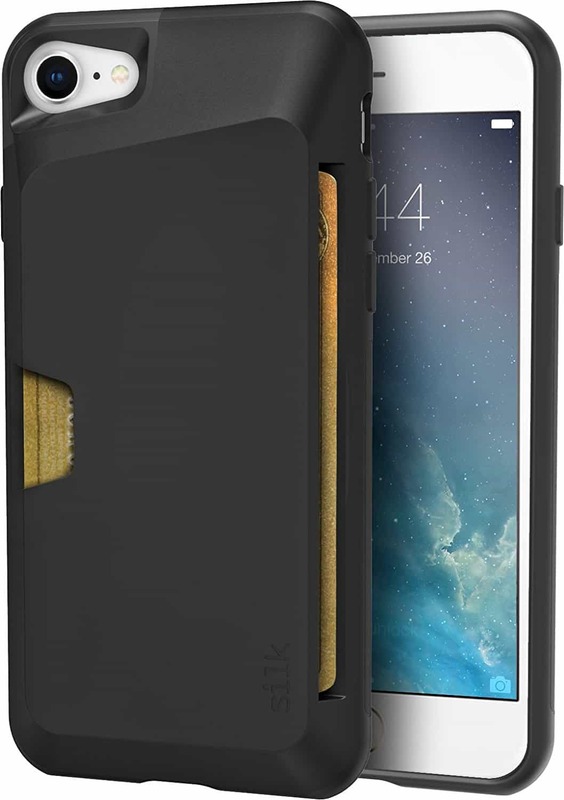 These iPhone cases are the best because it eliminates you having to take another purse or wallet with you. These cases allow you to put your debit card, ID, and a little cash so it's the perfect thing for the night out. This case can be purchased here. 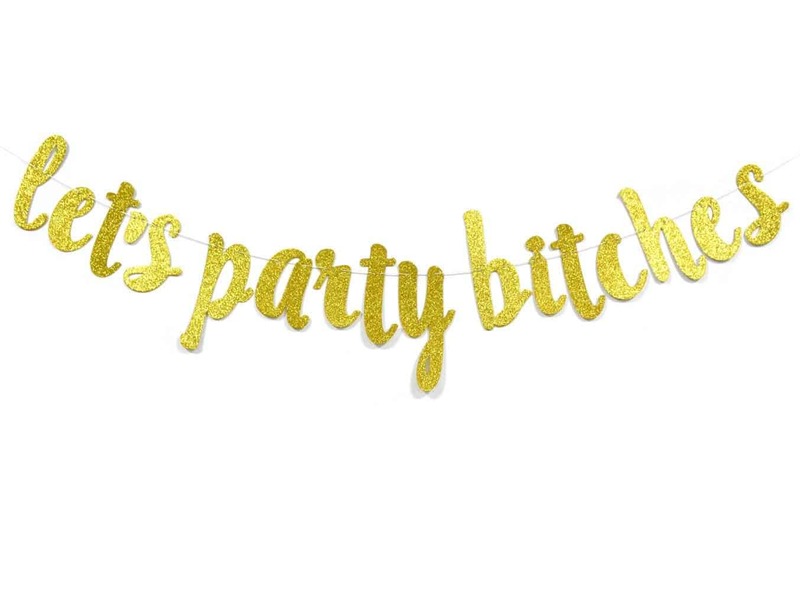 Banners are a very popular wall decor for college students because they're cheap and funny. There are a ton of different sayings you can find and they are all so cute! You can find funny banners here. Face masks are the closest thing college students will get to a spa. Believe me, this will be one of the best items to include in college care packages. 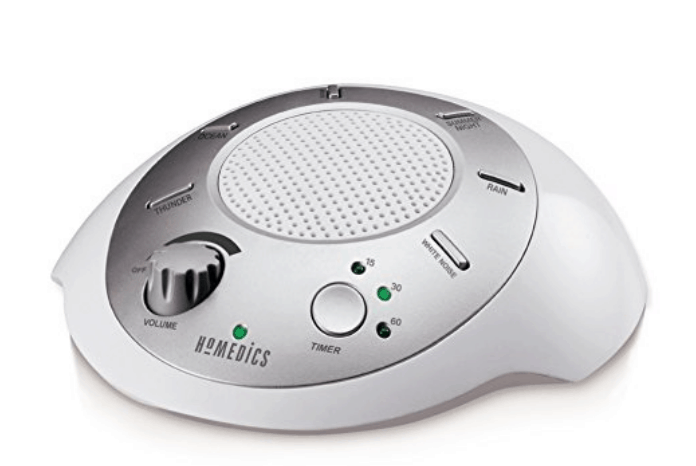 If the college student you are getting a college care package for has an issue studying or sleeping with surrounding noise this is a MUST! Seriously, this is one of the top things I recommend to college students. It cancels out all noises around you so you can study and sleep in peace. You can purchase this sound machine here. 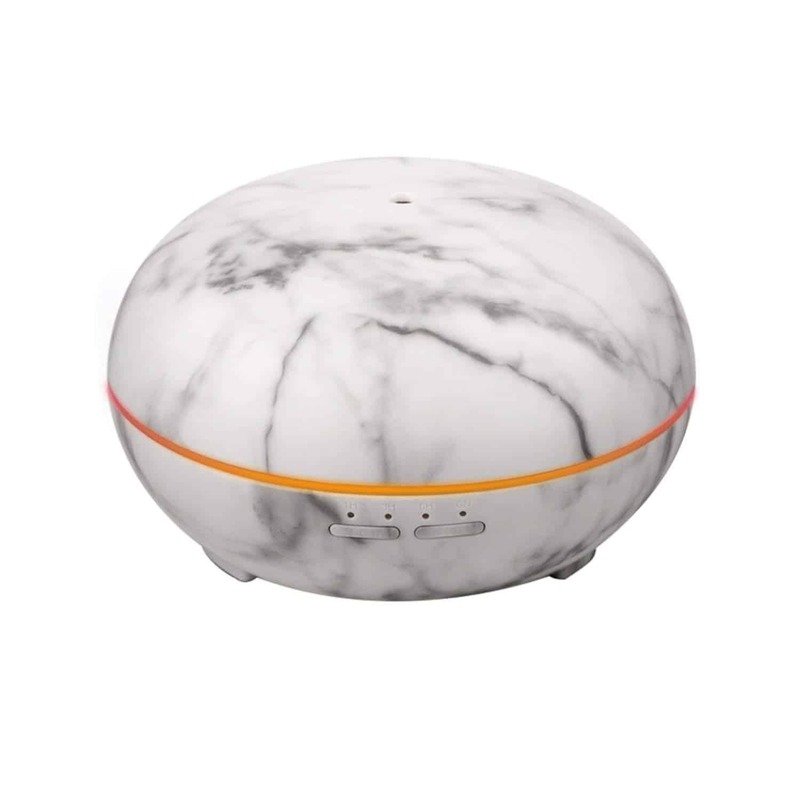 Essential oil diffusers are a great way to make a space feel more relaxed and bring in some good energy. You can get specific oils that will help with stress relief, sleeping, and many others. These are also great for sicknesses in a dorm. ​You can purchase this here. 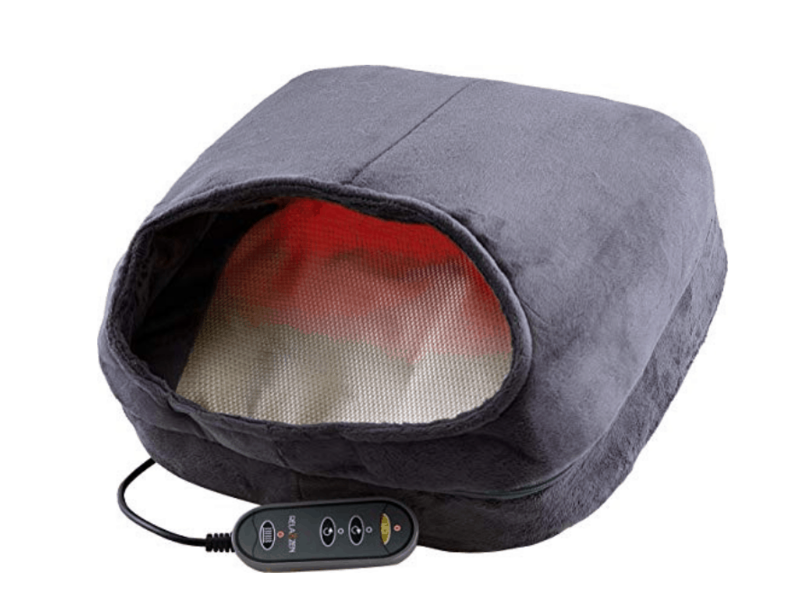 These foot massager/warmer is the perfect treat while watching TV or writing a paper. Best part is that this little baby is less than $40. You can purchase this here. I am the biggest tea fan and when I'm stressed, I always go make myself some tea. When I went to college, I didn't have a way to make tea. My mom sent me this electric hot water heater my freshman year and to this day, I use it almost daily. It keeps my tea hotter a million times longer than the terrible microwave dorms have and is one of my favorite items. BUT, having a nice set of satin pajamas makes you feel much more puttogether and the perfect way to feel a little more like, "I've got my shi* together and I will ace this test tomorow". Statement earrings are all the rage and the perfect way to step up an outfit on a night out. 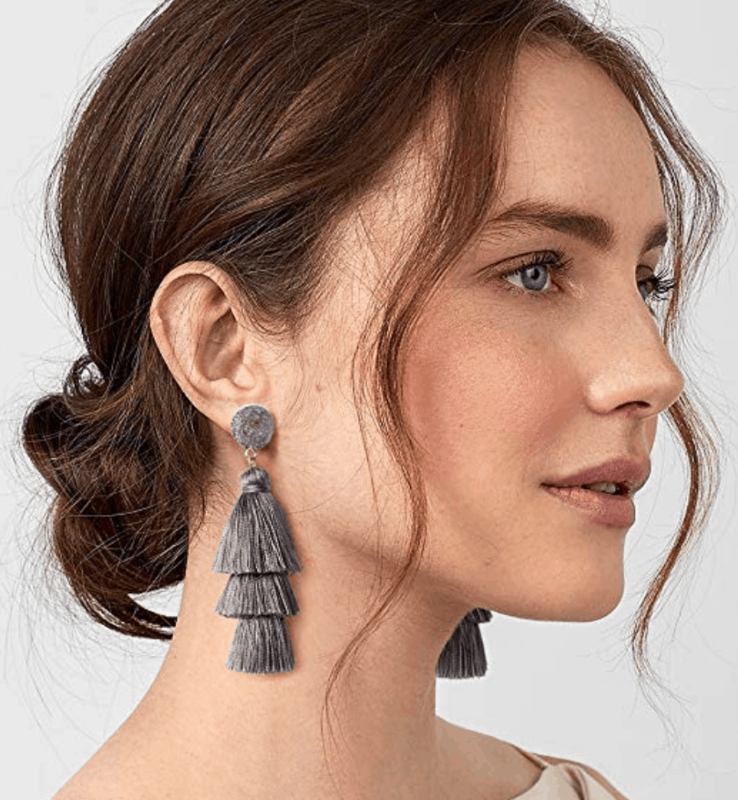 Any trendy girl loves statement earrings. You can find these statement earrings and more here. These flip flops are the BEST! I wear these almost daily and they have held up amazingly for flip flops. 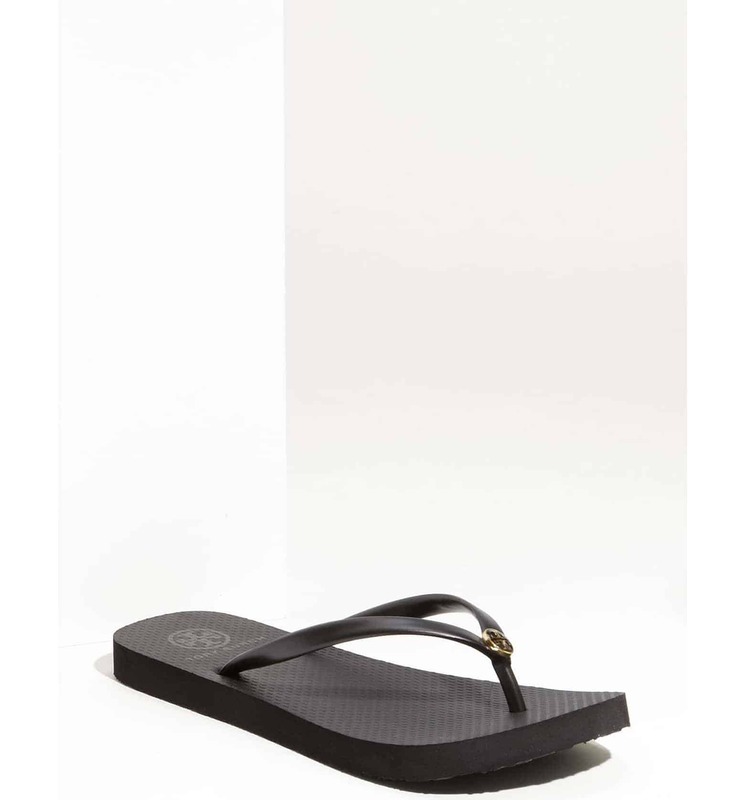 These are so easy to slip on and wear around the dorm or anywhere during the summer. I wore these year round because they are so easy to throw on. I added these above for fitness lovers but these really are so popular. 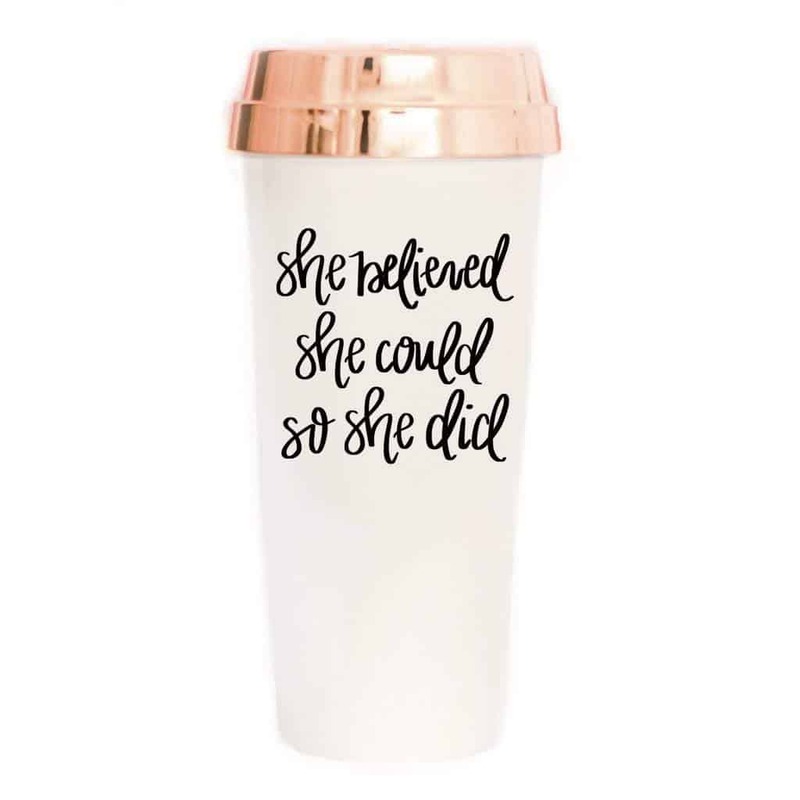 Your trendy girl will love a S'Well water bottle. Oversized shirts to wear with leggings or shorts are extremely popular among college students. Well they may not be the cutest thing in the world, it is definitely trendy. My favorite place to find oversized shirts is Nordstrom Rack. They have a ton of vneck options with super comfortable fabric for around $16 dollars. I am usually a size small and I go all the way to large or extra large to really get that oversized feeling. 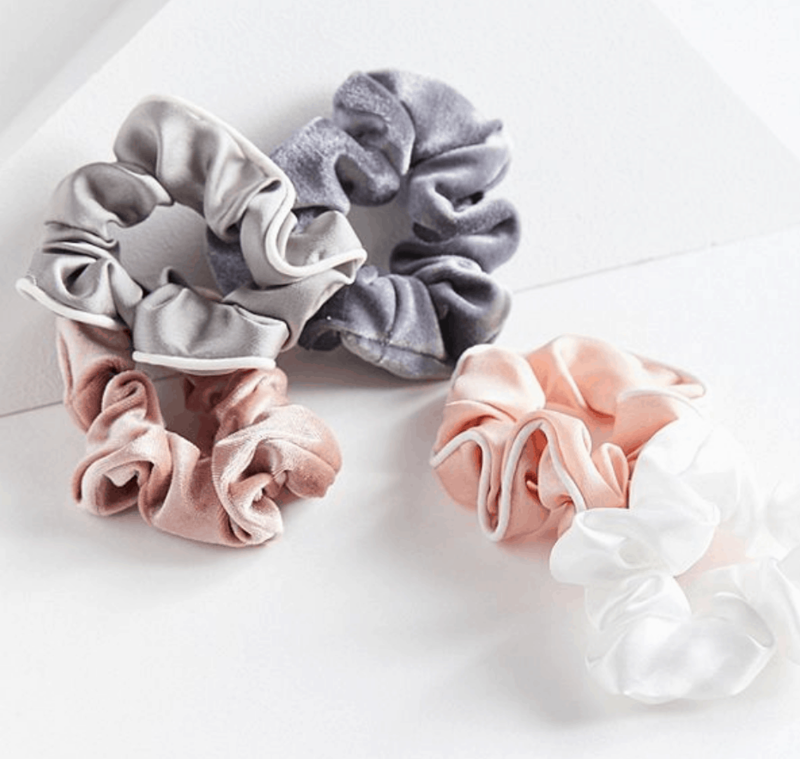 Scrunchies are SO popular and the perfect way to snazz up a normal pony tail. 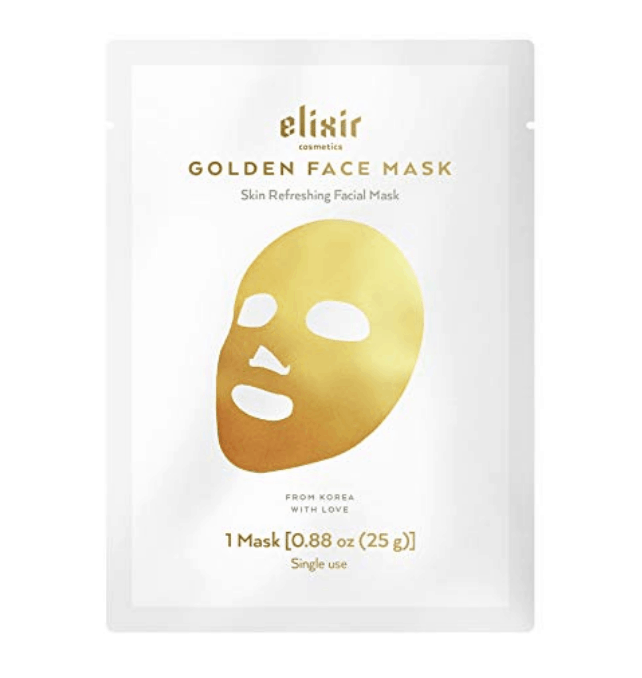 Repeat from above because face masks are just such a good addition to college care packages! 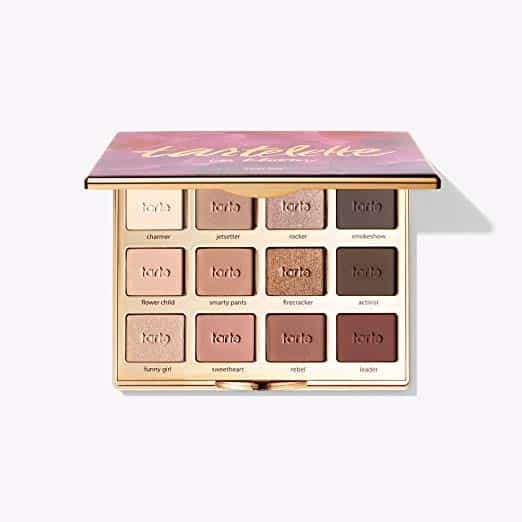 Isn't this palette so beautiful? Okay, this dry shampoo has saved me in college!! It is truly the best dry shampoo out there (and I've tried a lot!). This seems gross but I can go workout and then spray some of this and I look totally normal for class. You can find this at Sephora or buy it online here. Ipsy bags are the best and something I look forward to every month. 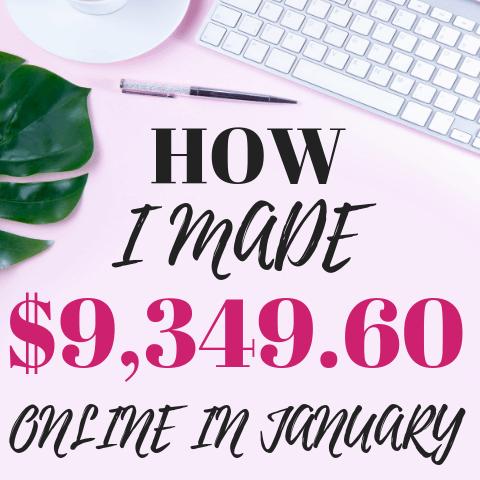 It is a little expensive at $120 for the year, but then every single month you get to try popular beauty products. You can look more into Ipsy here. 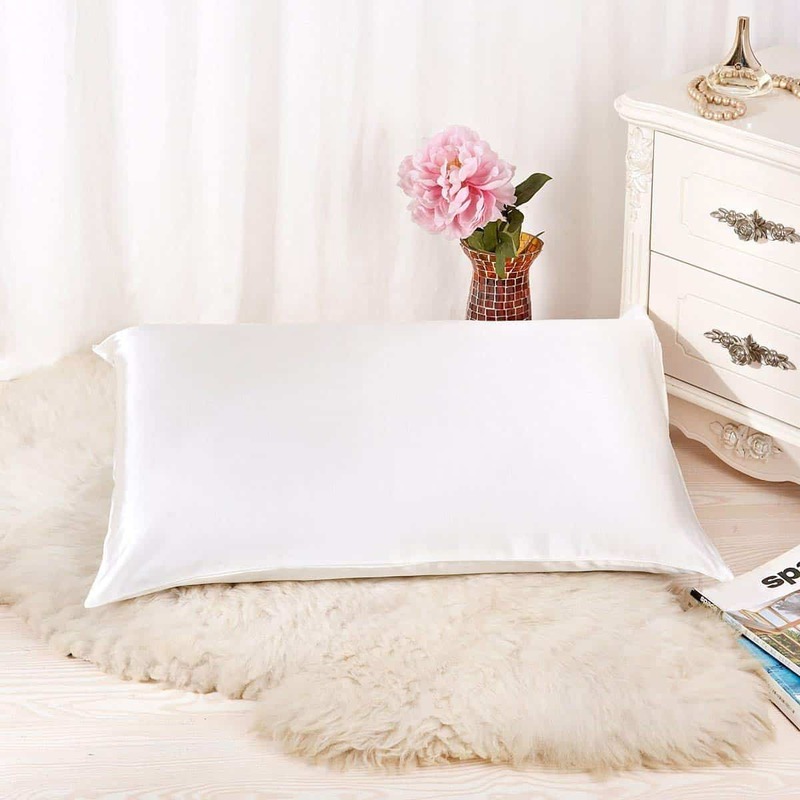 Silk pillowcases are suppose to be amazing for your hair and skin. 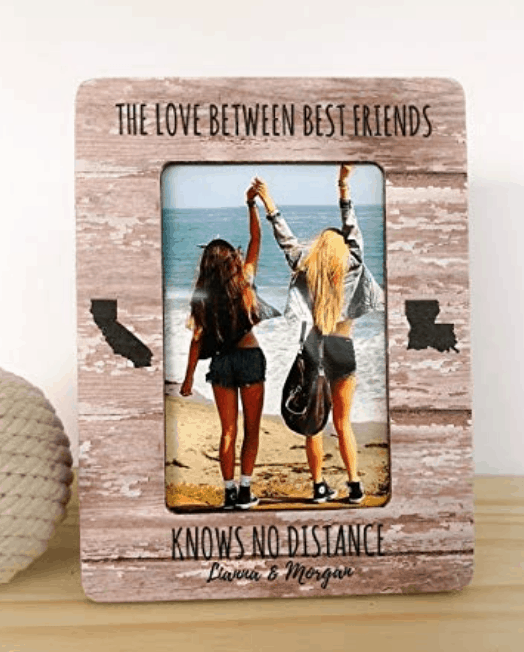 The perfect gift for friends that are far away from each other. You can buy this frame here. 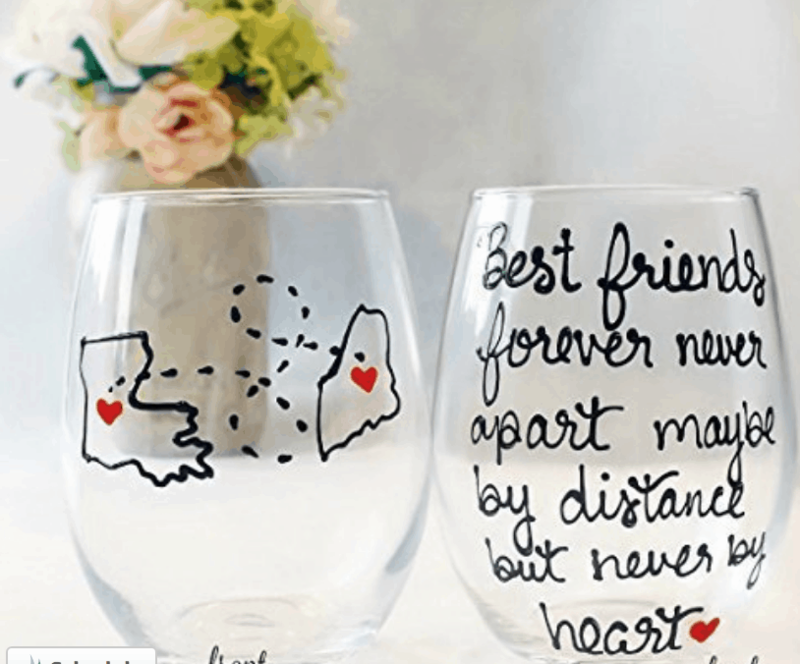 Perfect drink cup to remind your best friend that you are always together by heart! You can find this cup here. 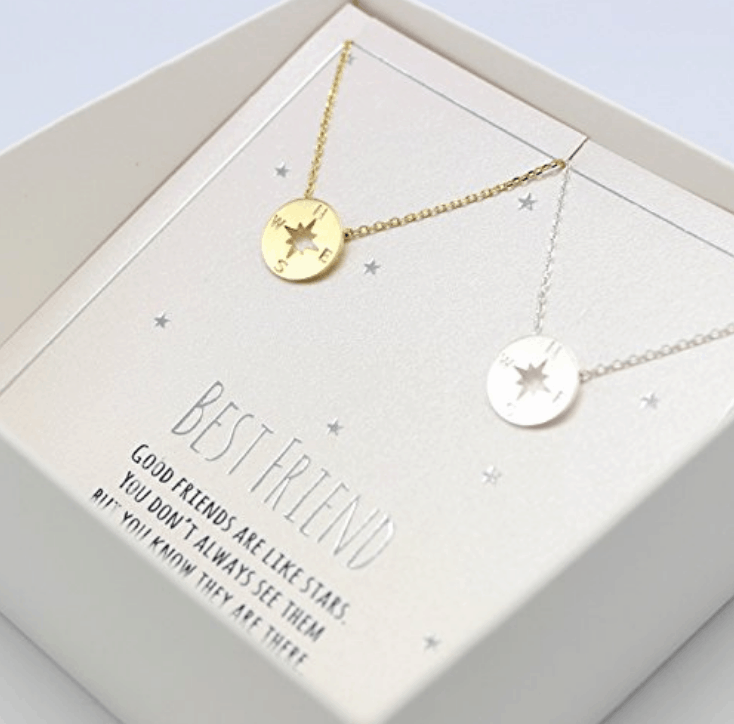 This cute little necklace is something you and your best friend can wear together even when your miles apart. I really like how it doesn't look like tacky like most best friend necklaces. These bracelets are boyish enough that there's a high chance you can get your boyfriend to wear it. 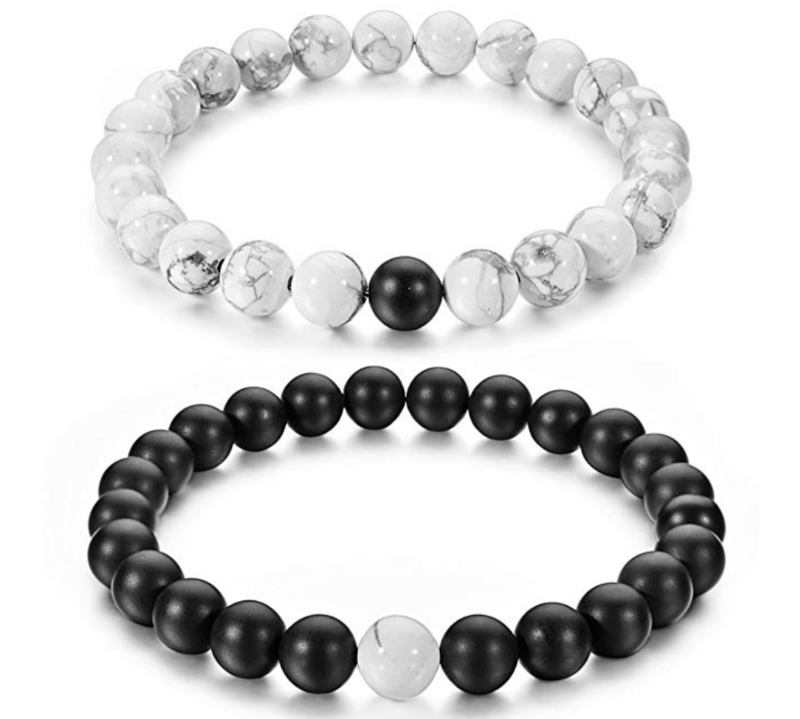 This set comes with both of these bracelets for only $7.99. I've seen them in person and they look just as good! 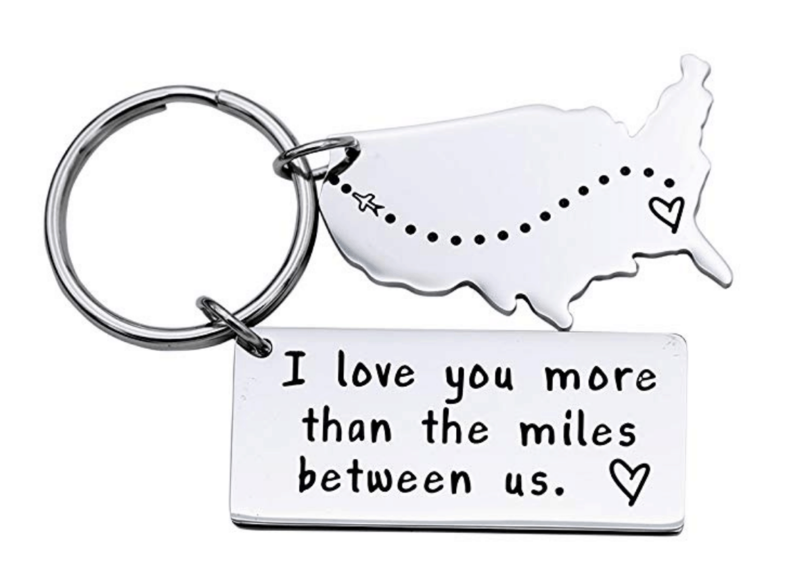 How cute of an addition would this be to your/your boyfriends keychain?! It's the simple reminder that everything you are doing is worth it. You can find this keychain here. 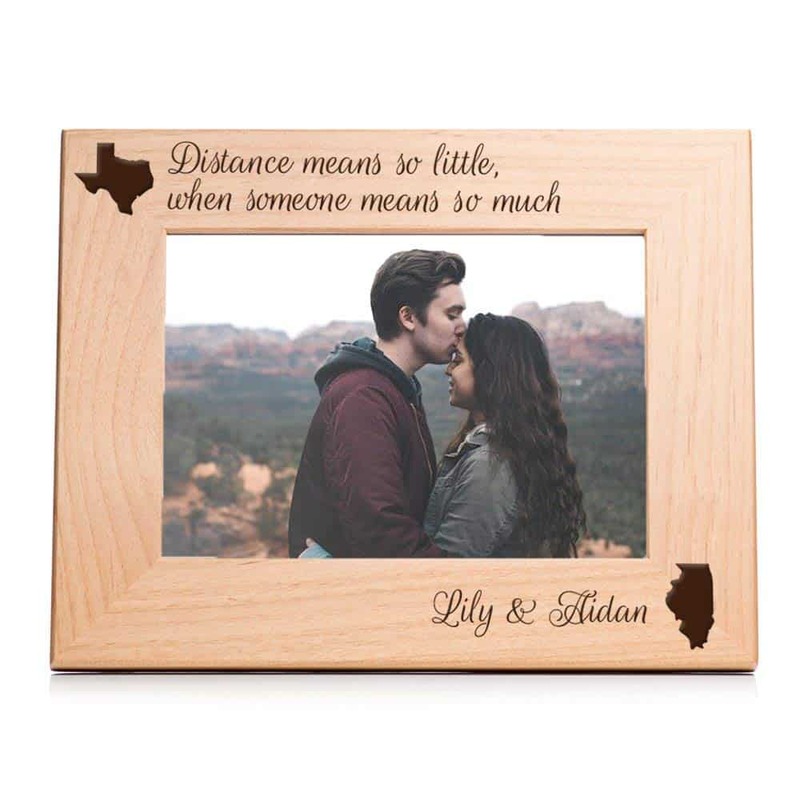 This frame with a picture of you two would be such a cute addition to a college dorm or apartment. You can find this customized frame here. You can find this card here. You can get A LOT of different sayings with this chocolate (hint hint...it gets WAY more inappropriate). It's an unexpected gift that anyone would love. You can find this chocolate here. If you are a tea lover, this is a must in college. Who doesn't want a cute mug?! There are really inexpensive mugs with all different sayings from Amazon which you can find here. 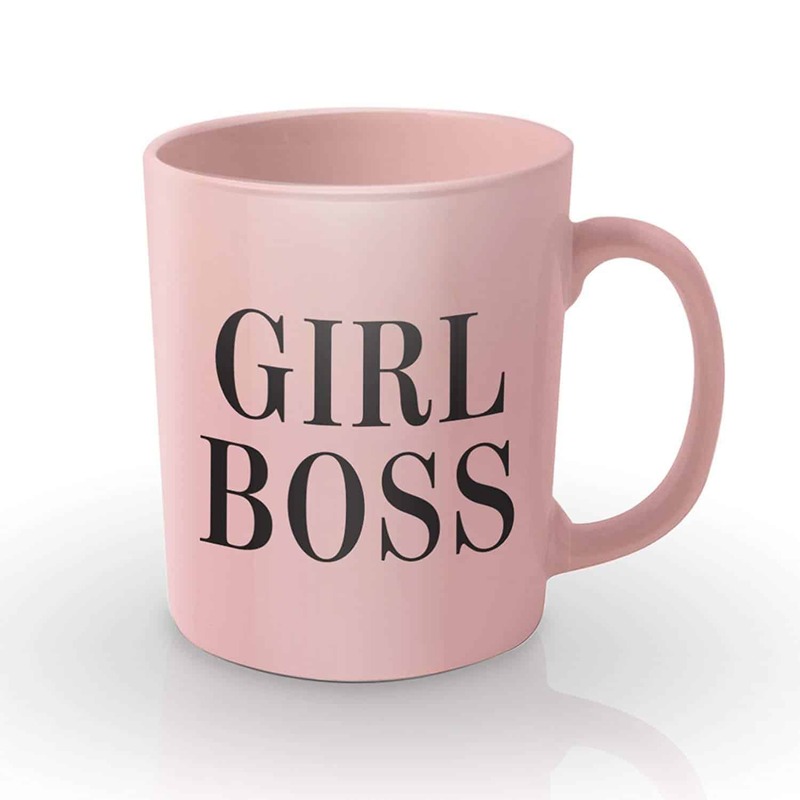 You can find this girl boss mug here. Along with a normal mug, a travel mug is always so nice for all the on the go work college students do. Isn't this one so cute? You can find it here. It's always nice to stock the college student up with some new coffee or tea. If they have a Keurig, k-cups are always appreciated. I wanted a section of really great college care packages ideas that didn't fit in a category. All of these are such fun things to include in a care package! 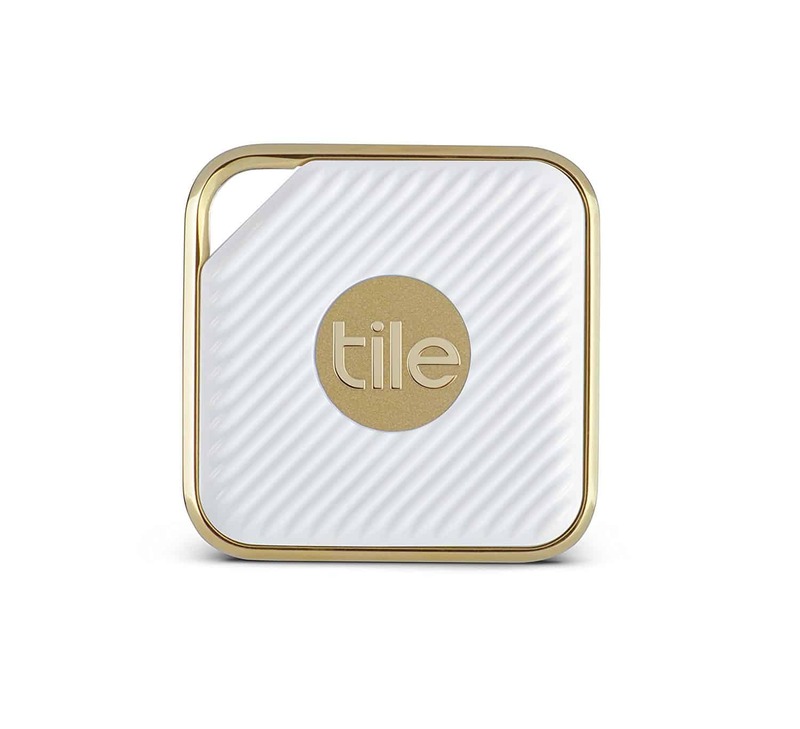 These Tiles are the best thing ever!! You attatch them to your keys and hook it up to an app on your phone. The app will tell you exactly where your keys are so you never misplace them. 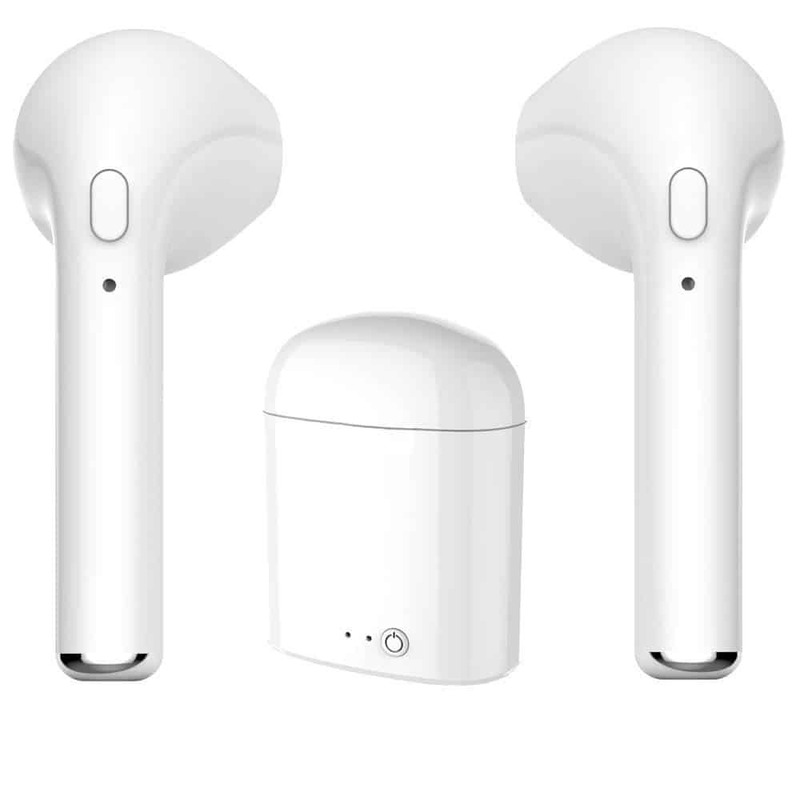 AND they are less than $20! I always assumed they were much more than that. What college girl doesn't want some perfume? This is a perfect addition to college care packages. You can find a ton of popular perfumes here. Clothes in college get extremely wrinkled and it makes it hard to wear. 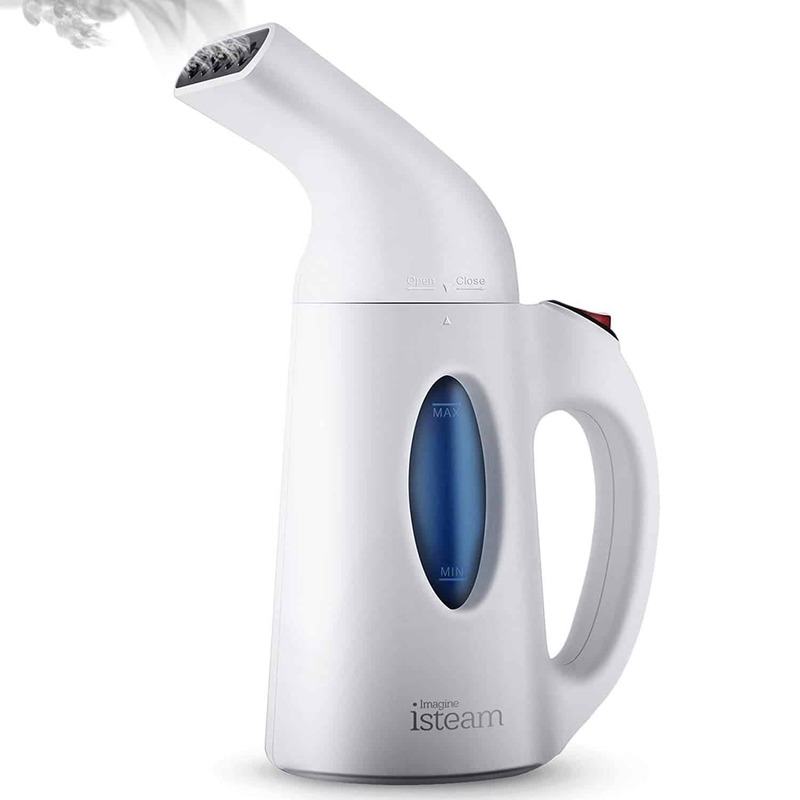 Having a small and easy to use steamer makes it easy to get those wrinkles out. 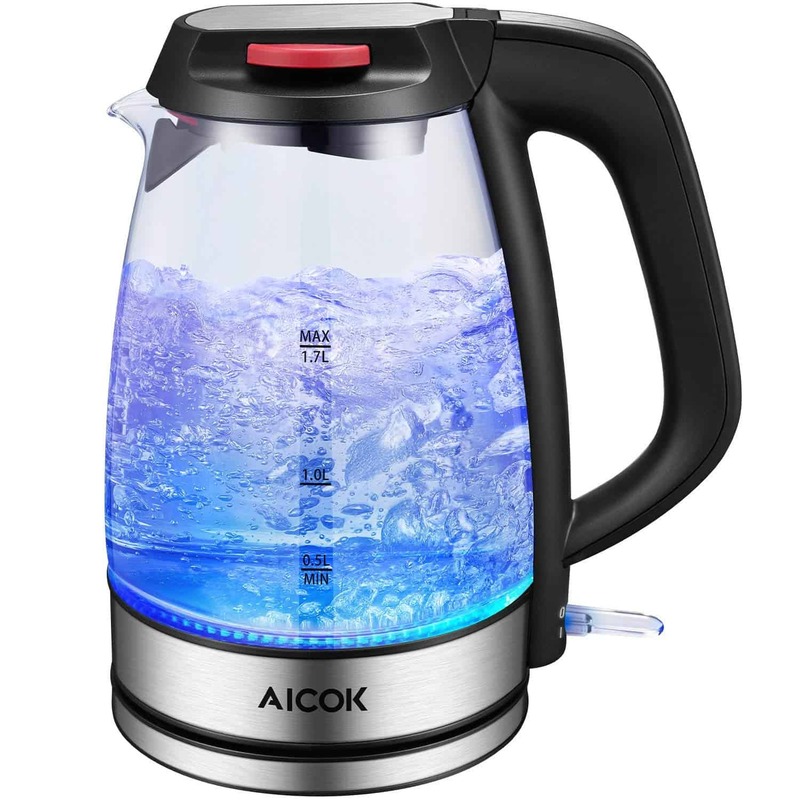 You can find popular steamers here. 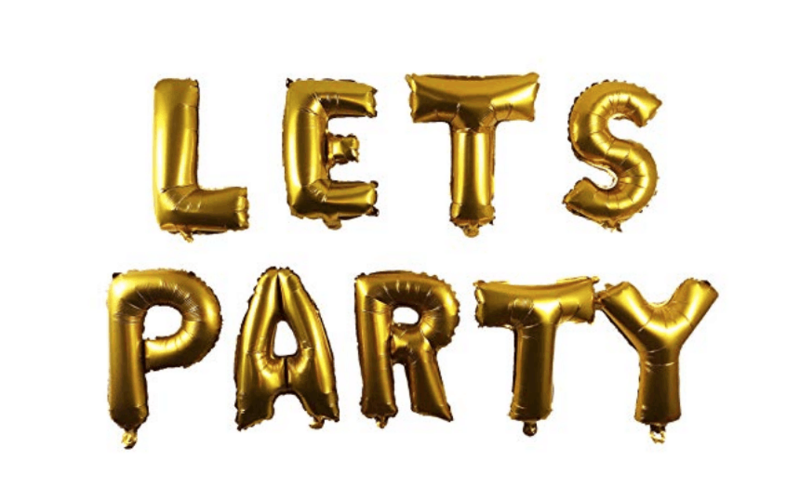 Large lettered balloons are all the rage right now and there are so many cute sayings you can get. Every college students questions what they are really going to do with their life at least once a week (kidding-- buttt at the same time not really ;). 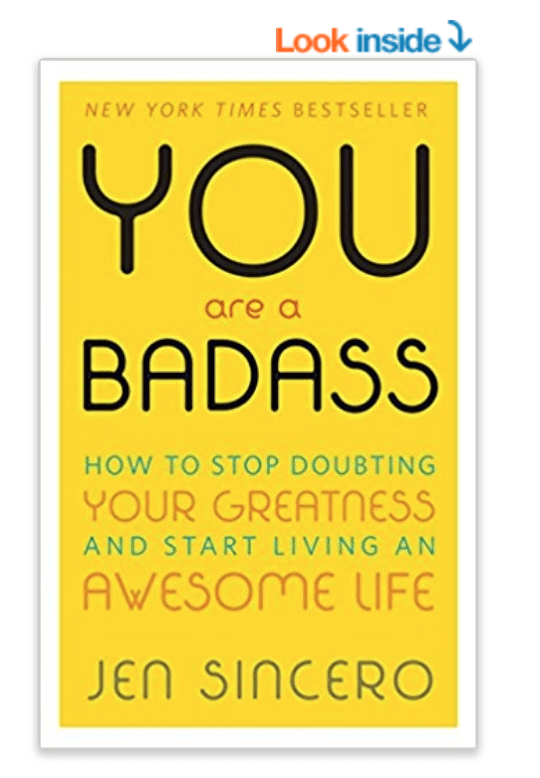 This book is a great motivational book for anyone doubting how great of a person they are and how successful they will be. Cards Against Humanity is the ultimate college game and can be SO much fun. This is my friends and my go-to game and we always have a great time. 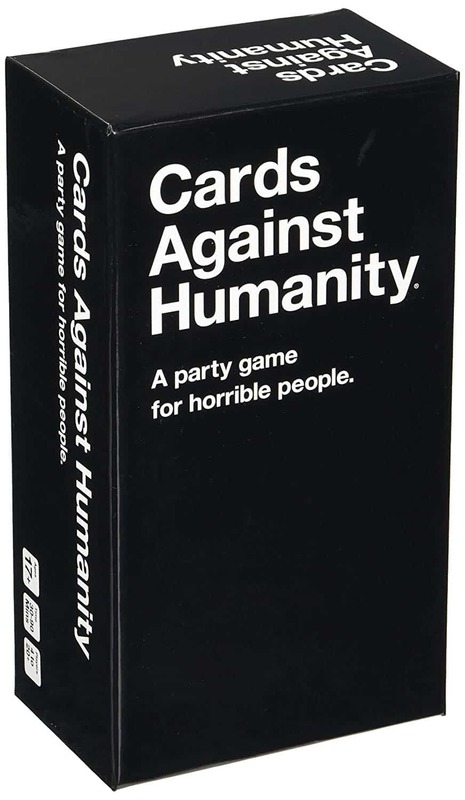 You can buy Cards Against Humanity here. Aren't these all such great college care packages ideas?! These are all products that the college student your thinking about gifting would love and appreciate. What was/is your favorite thing you would receive in your college care packages? A lot of great ideas on this list! 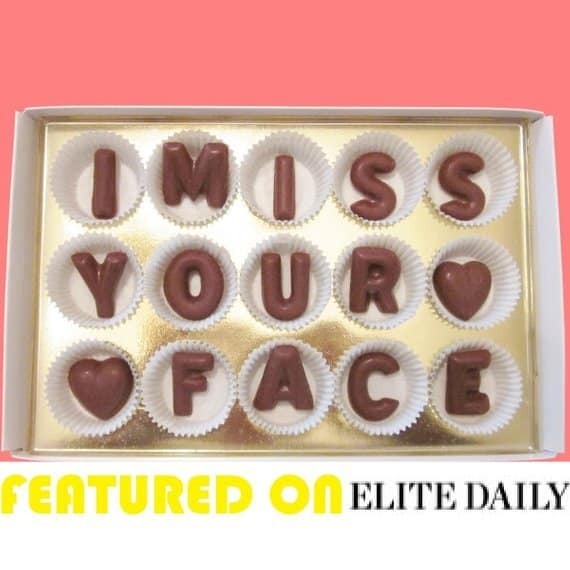 The I Miss Your Face chocolates are especially cute. Thanks Charlie!! I agree, the chocolates are so cute!